Get the right equipment for the job. 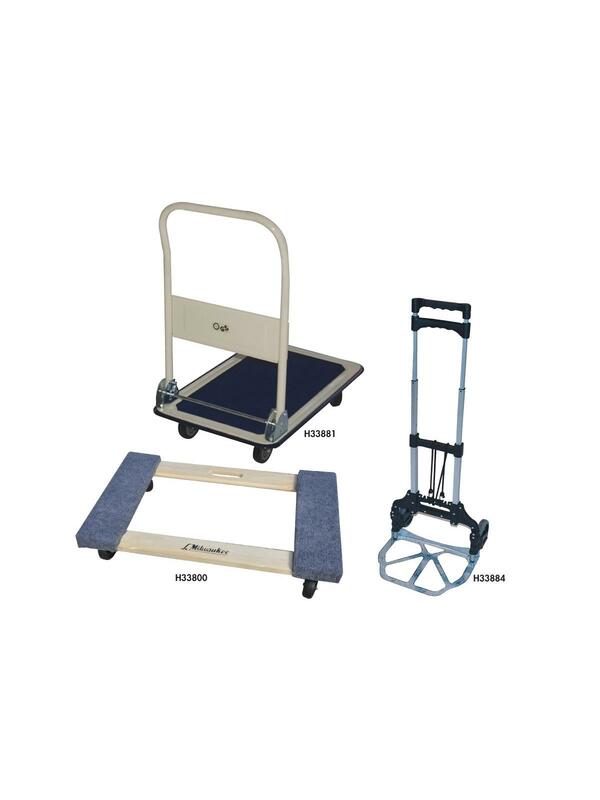 The Folding Platform Trucks feature durable steel construction with a non-slip deck surface and rubber safety bumper guards on all four corners. The handle locks into an upright position, the foot bar releases the handle for easy, compact storage. Easy to move on rolling caster wheels. The Aluminum Fold-Up Truck folds flat for easy storage and is lightweight and durable. The telescoping handle extends to over 39" tall with the push of a button. Pull down on plate and wheels open automatically. The nose plate and wheels lock securely when folded. The toe plate is 11 x 15". Simple to use, easy to carry and store. 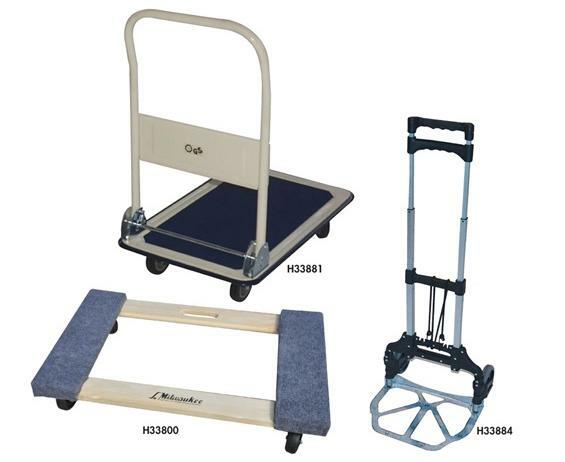 The Furniture Dollies have carpeting on both ends to protect the load. FOB Shipping Point.